You’ve decided to sell on Amazon Japan. Great. But now comes the obvious headache. YOU CAN’T SPEAK (or write) JAPANESE. It can be stressful when you’re trying to sell products in a country where English isn’t the native language. You may find yourself wanting to go for “cheap and easy” solutions, such as using Google Translate or even paying a (non-experienced) freelancer to do the English to Japanese translations for you. While initially appealing, these options often end up being costly mistakes both in terms of wasted money and time (and lost customers who don’t trust buying from someone who cannot write correctly in their native language). Be cautious of freelancer sites that offer very low cost services. Sure, they may look like they are a cheap and easy way of translating your Amazon product listings into Japanese, but this isn’t the case. The age-old saying “you get what you pay for” certainly rings true here. Using a freelancer could result in sloppy translations, meaning that you have to spend more time and more effort sorting out customer queries, as your translation made no sense in the first place. This could even result in your Amazon listing being suspended due to a high negative seller feedback score. The word order in Japanese is totally different than in English. What you type into translate in English will come out a complete mess in Japanese. The sentence structure will be totally off, words may not make sense in the context of the translated sentence, and often the meaning may be lost entirely. It’s really not worth the risk. There are also different levels of politeness that need to be conveyed as a basic element of Japanese grammar – get this wrong and you will potentially offend customers (or you’ll lose new customers). So, you hire someone to translate your Amazon listings from English to Japanese. How can you be sure that your copy is being written in a way that really sells your product? There are three alphabets in the Japanese language. Yes, three. Amazon runs on keywords. This means that for every word you translate to Japanese from English, there could be two additional, interchangeable keywords that could help you get your product sold. If you’re using Google Translate or a second rate freelancer, you’re not going to get a fully optimized listing, as you will only be directly translating one of the words. Not only this, but you will pay a higher price for advertising as your product description will be seen as less relevant. Someone “in the know” will be able to tweak your product’s story for the Japanese market. What may be relevant when selling to a Japanese market may not be all that apparent in the English language. For example, when we were selling our baby car mirrors (see the big case study here) we make sure to mention that they are suitable for “Kei” cars as well as standard cars. This wouldn’t mean much in English, but in Japan “kei” is a category of small/light cars. By including this keyword we saw a jump in conversions, which would have been missed by a non-native Japanese speaker. It’s little things like that, where being in the know about certain terms or categorizations in Japan that can really boost your listing sessions (AKA views of your listing) and conversion rate (and profit). Hopefully, you have a better understanding of why it’s important to do your research and use a reputable service when you need translations from English to Japanese. Especially when setting up a listing on Amazon Japan. You know exactly what to look out for when avoiding translation rip offs and you are well on your way to getting your products sold on Amazon Japan. 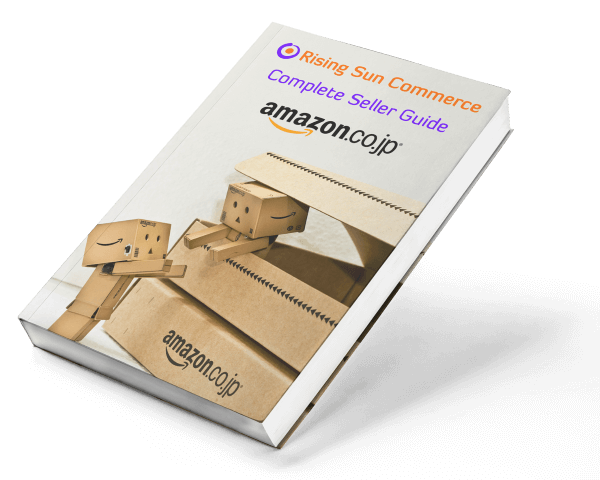 Rising Sun Commerce can do your English to Japanese translations for your Amazon products. Get in touch and we’ll get the ball rolling.